Tommy Praytor 11-24-07 Pensacola Test: With move in less than 5 days away, Tommy turned his only laps of the year at Five Flags Speedway in preparation for the 40th Annual Snowball Derby. 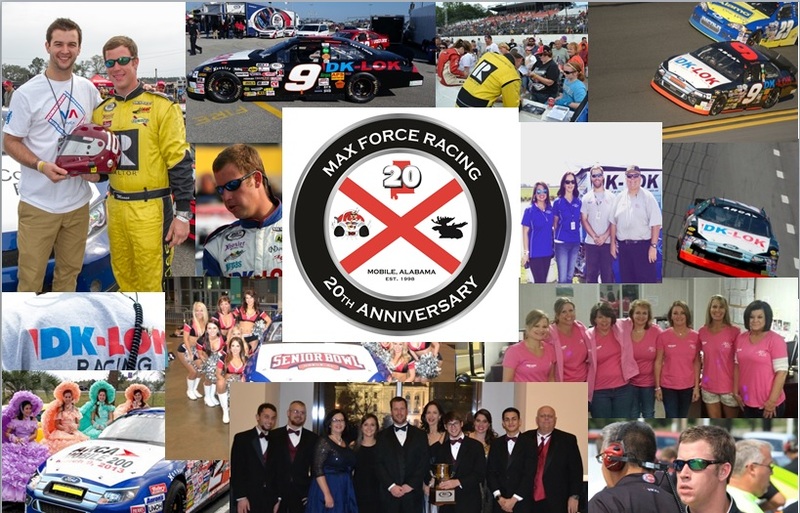 After earning it’s stripes at Mobile International Speedway the week before, the Max Force Racing Pontiac had it’s game face on for the test at Pensacola. Because the Moose ran the Ronald McDonald House hood this season Tommy picked the RMH graphics for his test at Pensacola. If the paint scheme looks familiar on the car it’s because Tommy will only race it at Pensacola and then a much smaller seat will be installed for the Moose. While the car looked sharp the driver did not. A year between starts showed on the rugged racing surface and a test that was scheduled for a few hours went over 7 hours. Tommy Praytor 11-18-07 MIS Test: With the 40th Annual Snowball Derby less than 2 weeks away the latest creation from our Max Force race shop made it’s way to a test at Mobile International Speedway. As has become a tradition in our shop, a new car or new paint scheme goes to the track for the first time with no stickers. After earning its stripes so to speak, our Max Force Pontiacs get a full graphics package from Moose Signs.com. After spending the 2007 season on top of the pit box with Thomas, Tommy turned his first laps of the season testing the new Pro-Late Model for the Saturday nights Snowflake at the Derby. With a solid test in Mobile the team will be at Pensacola’s Five Flag Speedway on Saturday for a final test before returning to Pensacola for Derby weekend.